We are family owned business that prides ourselves on customer service. We believe in quality work by using better materials and keeping up with the industry standard to have quality results. 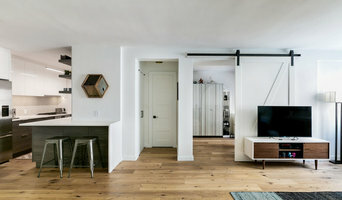 HOUZZ: PREFERRED BUILDER in NEW YORK, NY. Luxury Home Renovations. Earning 5 STAR REVIEWS from our clients, your neighbors, SINCE 2001. 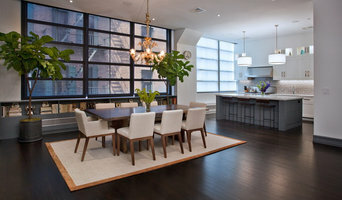 We are West Village General Contracting, the leading brand for luxury renovations in Manhattan. And we have one goal. That everyone who comes in contact with us has a 5-Star Experience. 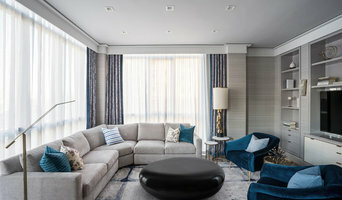 To ensure we always deliver that experience, we’ve created a process called the Luxury Build Method, an original and trusted system of construction that understands the complexities of building in Manhattan and aligns it with our promise to deliver on your expectations - on time and on budget. This has enabled to be the perfect partner for residential projects of all sizes and complexities throughout NYC. Our Luxury Build Method focuses on four key elements. One, hearing you - your needs, your budget, and your ideas. Two, mapping a detailed and transparent path forward. Three, assembling the right team for the job. And four, bringing your dreams for your home to life. From finishing touches to complete customization of your new home, we see the bigger picture of our clients but it’s our focus on the details - communication, teamwork, skill, and ability - that make us the perfect partner for whatever your construction or maintenance needs may be. We are efficient, resourceful, and through. And we will be here for you whenever. however, and wherever you need us. We specialize in: Full and partial apartment remodeling Bathroom and kitchen remodeling Fine cabinetry from our 20,000sf Brooklyn shop Lighting and dropped ceiling installations In house paint team for fine finishes, decorative plaster, paint & wallpaper installations Ongoing maintenance contracts to maintain your pristine apartment in perfect condition “James has built up a strong team who share his 5-star experience philosophy. I not only trust the quality of WVGC’s work, but very importantly trust that any problems that arise will be dealt with by a team that is efficient, resourceful and thorough. They are not the cheapest, but they are reliable and deliver work of exceptional quality.” West Village General Contracting invites you to join their exclusive client community by calling (347)514-6613 or by contacting Julie at julie@westvillagegc.com. Clients can be assured of the quality and professionalism of TriCounty's staff and its quality of choosing subcontractors, tailored to the unique need of each client and project. INS Contractors has applied its unwavering commitment to excellence in building some of the New York’s finest residential and commercial properties. Working with esteemed clients, architects and designers, we had consistently surpassed expectations and delivered unique projects on time minimizing the budget spending. Due to outstanding organizational skills and exceptional management support, INS Contractors takes on the most complex projects without losing a sight of the smallest professional nuances. Tallman Segerson Builders is a high-end custom building company specializing in new homes, additions and renovations in Connecticut, New York and beyond. With over 40 years in Fairfield County, our rich heritage isn’t to be understated – and discerning homeowners and leading architects have come to rely on Tallman Segerson for exquisite attention to detail and comprehensive knowledge of master home-building. The happiness of our customers is our singular goal. Creating joy in our customers’ experience is the byproduct of combining our superior building systems with a rugged moral code emphasizing honesty and fairness. Tallman Segerson is highly conscious of a project timeline and budget and has proven methods for delivering on both. These advantages are conveyed to each client through a dedicated team and a highly transparent project management process. This process is facilitated by proprietary in-house software enabling 24/7 access to every detail of a project. Additionally, Tallman Segerson’s 5-year warranty reflects our higher-level of service after the job is done, as well as confidence in our craftsmanship. This means that if there is any follow-up work, or request, long after a project has been completed, we promptly take care of it. Think of us as your long-term, accountable partner. We’re told that Rusk projects come to life. With over 30-years’ experience renovating dwellings in Manhattan’s landmark buildings, both historic and contemporary, Rusk is the general contractor preferred by clients who place a premium on time, sophistication, and clarity. Rusk gets it right the first time, and it’s no wonder. The firm’s project carpenters and supervisors are craftspeople who understand the aesthetic intent of each project. The interdisciplinary project management team bring added perspectives from engineering, architecture and construction management to the plans before the first swing of a hammer. Finesse and relentless focus on detail are the hallmarks of a Rusk project. Ongoing education is another. Little wonder that Rusk’s clients are the ones smiling at the end of their project and for many years afterwards. From grand estates, to exquisite country homes, to whole house renovations, the quality and attention to detail of a "Significant Homes" custom home is immediately apparent. Full time on-site supervision, a dedicated office staff and hand picked professional craftsmen are the team that take you from groundbreaking to occupancy. Every "Significant Homes" project represents 45 years of luxury homebuilding experience, and a commitment to quality widely recognized by architects, the press and, most of all....thoroughly satisfied homeowners. Our projects have been published in Architectural Digest 6 times along with many other publications and books. Though the lion share of our work has been in Fairfield and Westchester counties, we have built homes in Palm Beach, Aspen, Maine, Nantucket and Long Island. Our construction company would like to set itself apart by providing peace of mind, hassle - free service. State - of - the - art newest technology provides our consumers with project design, architect services and with any construction need. Any job, big or small, is a pleasure for us to work on. Let us build your dream! MJ Larkin & Co., Inc.
Meeting on a job site in California, we combine the best of the West Coast and the East. For over 30 years, we have built Traditional and Modern homes in the Tri-State area reaching from Cape Cod to Columbia Counties. Residential Construction, Custom Millwork and Cabinetry, Landscape and Site Development have all become our specialties. Our relationship with our clients is key to our enjoyment of making their dreams into reality. A place where you build your memories, feel like going back after a long tiring day and above all call your very own space. We understand what it means to you and therefore, all our endeavors are geared towards bringing in synergy between our renovation plans and your personal preferences so that the result is not just satisfactory but outstanding. Whether you are looking for upgrading your space to the latest interior trends or maximizing space for your growing family, our proficient consultants can guide you through a complete restoration, new construction or upgrade in the best possible manner. G&L and Sons Renovations is a family run full service home remodeling company. We have been in business since 1985 and have been growing strong. We treat your project as if we were working on our own home. Our Vision: To create renovation projects that enable New Jersey homeowners to enjoy their homes with quality workmanship and attention to detail. Our Mission: Bringing design, function and beauty to New Jersey homes as needs and wishes change over time. Uno Group Home Improvements has been in the business of construction/remodeling for over 15 years. We are passionate, honest, dedicated and take pride in our work. No matter the size and scope of the project, it's our promise to you, that you will receive our full attention from beginning to end. Communication during the process until the very end is crucial to a successful project. Our work ethic is strong and our reputation speaks for itself. I as an owner, am always studying new techniques for home improvement. Whether it's researching or testing the latest products we constantly thrive to evolve and keep up with the times. I am very fortunate to have a group of skilled employees that share the same values and quality standards. We believe that a satisfied customer is our best advertising. When you hire us, you can rest assured that your satisfaction is our only goal! Mayne Construction, LLC is a licensed and insured, full service general contractor with over 30 years of experience with the capacity to undertake all phases of building projects including but not limited to concept, design, feasibility, planning/construction drawings through construction with a turn- key completion. Our impeccable attention to detail is seen in each and every new and remodeled construction project as well as with our custom millwork. Each project is delivered on time and within budget. Mayne Construction, LLC provides complete project and cost management with achieving the optimal balance between price, quality and time objectives that are tailored to meet each individual client’s needs. It is our goal to provide an extremely high level of service and consultation to our clients, making each project as enjoyable and ultimately as rewarding as possible. As a family owned construction company, we take pride in our work and treat each and every client as if they are a part of our family. Customer satisfaction throughout all phases of the project is not a goal but a reality. Let’s talk about your project. Give us a call to schedule your complimentary consultation today. We look forward to hearing from you. 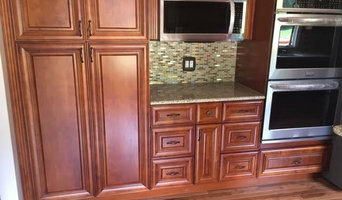 Our mission is to become your partner in the remodeling process by providing quality craftsmanship, attention to detail and over 27 years of experience.We pledge to treat our clients with honesty and respect, and to stand behind our work. We take great pride in our company and its reputation. As a result, we have earned the respect and repeat business of many satisfied customers, who consistently refer our company to their family and friends. If you're on the brink of a large home improvement project, remodel, or new build, you'll likely want to hire a general contractor in West Point, NY. These professionals manage all aspects of the job to ensure it's completed on schedule and to your satisfaction. Whether you’re trying to find West Point building contractors for a new construction, or home improvement contractors to spruce up your existing place, it’s important know exactly what role they will play in the project. Read more below for a list of must-ask questions. General, or construction contractors, are often known as project managers. They oversee the entire remodeling or new home construction project and facilitate all day-to-day tasks that move it toward completion. A West Point general building contractor will work with your architect to review plan as you build a house and ensure everything is in place before work is started as well as arrange for permits and necessary inspections. While good local home improvement contractors in West Point will have the skills to handle certain tasks onsite, such as carpentry, he or she is also responsible for hiring subcontractors for the majority of jobs, such as electrical work, painting or plumbing. In addition, the general contractor should be on-site regularly to inspect the progress and resolve issues. Here are some related professionals and vendors to complement the work of general contractors: Architects & Building Designers, Interior Designers & Decorators, Landscape Architects & Landscape Designers, Kitchen & Bath Designers, Specialty Contractors. Home remodeling contractors are a must for successful completion of a renovation. Because of this, it's essential that you do your homework before deciding on the right general contractor in West Point as you remodel or build a house. Inspect bids carefully. Was it ready when the contractor promised it? Was the bid for building a home unusually high or low? Each of these things can be very telling: A late bid may reflect timing standards, and an off-the-mark bid could be code for a pricey premium or a deliberate underbid to score the remodeling job. You should call references, carefully read reviews and visit completed projects in West Point, NY to see if they’re what you expect for your job. Once you do secure your local West Point contractors, read the contract very carefully to be sure everyone is on the same page. Find a West Point contractor on Houzz. Narrow your search in the Professionals section of the website to West Point, NY home contractors. You can also search for photos in West Point, NY and contact the West Point general contractor who worked on the project.